March 23rd in Theme Lists, WordPress Themes by Wordpress Jedi . Appdev: provides you with single and multi-page options to build a responsive site for your app. It has a modern menu, parallax backgrounds, a mobile slider, and more. 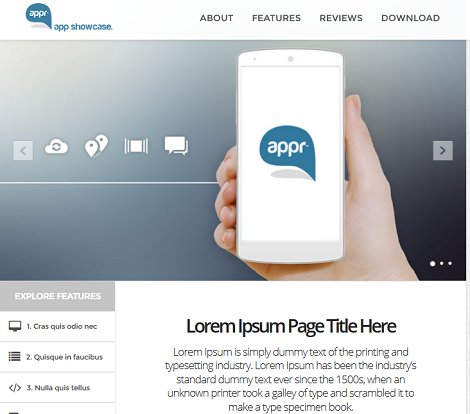 Appr: a one page showcase theme for apps. It has a responsive layout and is built with Bootstrap. It lazy loads images to offer your visitors a faster experience. Esy App: this theme has a clean, flat design. It is responsive and ready for Retina displays. You get a drag & drop page builder, a premium slider, MailChimp support, and many more features. 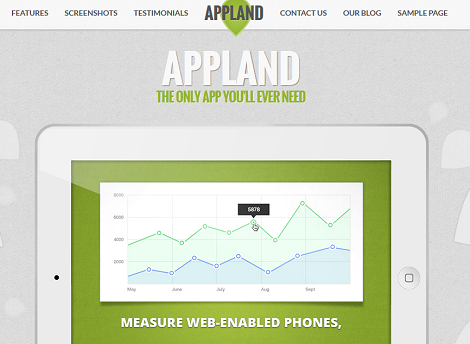 AppLand: a responsive Bootstrap parallax app landing page with 3 color schemes. The theme offers 5 sections for you to share features, screenshots, and testimonials with your audience. 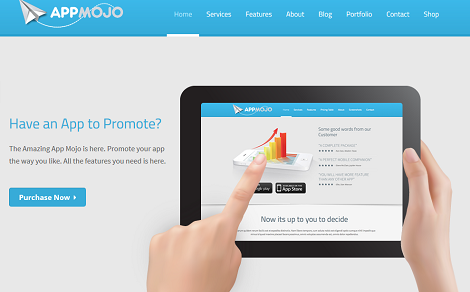 App Mojo: a one page theme for your apps. It is responsive and supports WooCommerce. The theme offers 20 color schemes, various custom widgets, and 2 template pages. 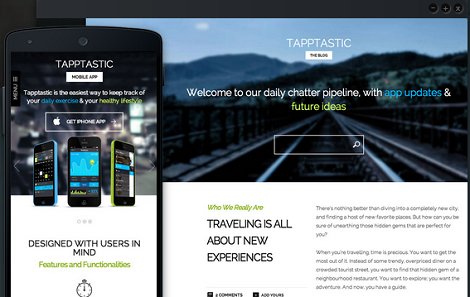 Tapptastic: a responsive theme for smartphone developers. 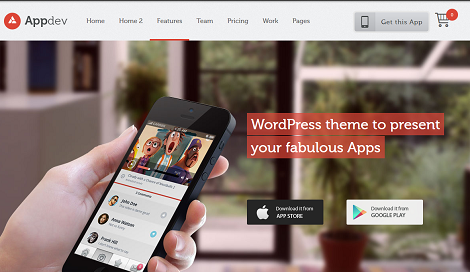 Its theme options panel helps you customize your site conveniently. It offers a bunch of built-in page layouts and icon fonts integration. 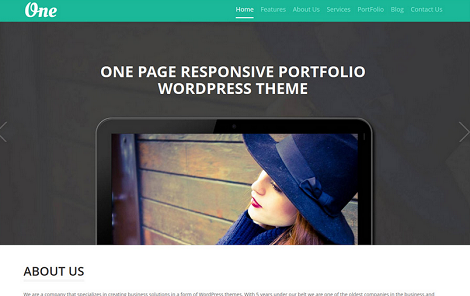 OnePager: a one-page portfolio theme with full homepage control. It offers unlimited color options, a mega menu system, and multiple page templates and layouts. 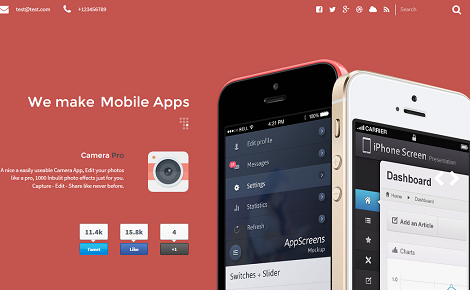 Have you found better looking app landing page themes? Please share your favorites here.